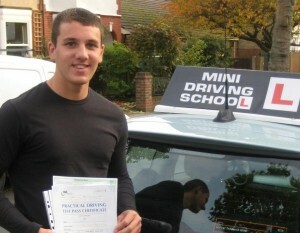 For some, driving lessons can be quite a daunting task, your first time behind the wheel can be a scary thought – but here at the Mini Driving School in Surbiton we will guide and support you on your journey to becoming a confident and safe driver. Our extremely experienced and well-trained friendly instructors will make the learning process as painless and simple as possible for you, moving at your own comfortable pace. Learn to drive in Surbiton now! Call 0800 511 8888. Surbiton is the perfect area for you to learn how to drive, with all of the types of roads you will need to pass your test. Surbiton’s roads are usually quiet allowing for you to take your time and get comfortable behind the wheel before moving into busier areas. Our instructors will give you all the knowledge necessary for being a safe driver – including how to read road signs properly, how to parallel park, reverse around a corner and park in a bay. Our instructors will also teach you how to drive confidently on busy roads as well as country roads. Our experienced instructors have worked with young new drivers who are behind the wheel for the first time as well as adults who are learning to drive for the first time or adults who are re-learning certain aspects of driving. Wherever you are on your driving journey, the Mini Driving School are prepared to aid you in learning to drive in a comfortable atmosphere. At the Mini Driving School, you will learn to drive in a range of different Mini’s, you will be given the choice between learning in an automatic or manual transmission. 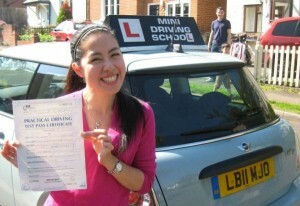 If you are planning on learning how to drive in Surbiton the Mini Driving School has extremely competitive prices. For your first five hours of lessons, we have an introductory offer of £110. If you would like to continue your lessons after the five hours our hourly rate is £25 per hour. If you commit to ten hours of lessons you could save some money as we offer 10 hours of lessons at £230 instead of £250, saving you just under 10%. Our prices don’t change with time or date, so you don’t have to worry about a random surge in prices, our prices are the same no matter time of day or day of the week. Even if you have passed your test, sometimes you still struggle in some areas or there are certain aspects of driving you aren’t confident in that may not have been covered in your lessons or on your test. If you want to develop your skills further you may want to conside our Pass Plus course, we will assist your learning of how to drive in all weather conditions including the snow and rain as well as teaching you essential skills like driving safely on the motorway which is not yet covered on the test. We will also help you with any areas you are struggling in to ensure 100% confidence in all aspects of driving.